Lupus is quite common among African-Americans and Hispanics in US, and also common in Asia. Chandra Mohan search will also include treating lupus by testing an antibody that blocks ALCAM. 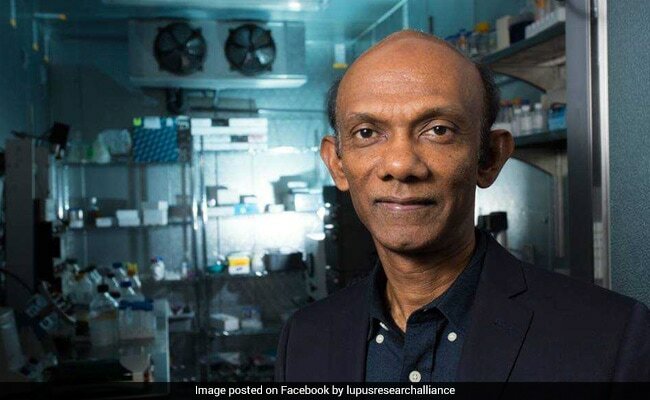 Houston: An Indian-origin professor and his two colleagues at the University of Houston have got a USD 600,000 private grant for their path-breaking research to develop a new treatment for lupus. The Target Identification in Lupus grant from the Lupus Research Alliance has been given to Chandra Mohan, endowed professor in the university's biomedical engineering department, and his research team members Hugh Roy and Lillie Cranz. Lupus is a complex autoimmune disease that is difficult to diagnose, treat and defeat. Only one treatment has been approved in nearly 60 years. "Lupus nephritis (kidney disease) is one of the most serious complications of lupus. With the TIL grant support, Chandra Mohan, MD, PhD, University of Houston will build on his existing discoveries to evaluate a potential new therapeutic target for lupus nephritis," the health organisation said. Only seven lupus researchers across the country were asked to carry out these tasks and the grant will address fundamental questions in lupus research, remove barriers to new treatments and possibly find a cure for lupus and its complications, it said. Lupus is quite common among African-Americans and Hispanics here in US, and also common in Asia, Mohan told PTI. "Our data suggests that measuring the levels of a molecule called ALCAM (activated leukocyte cell adhesion molecule) in the urine may be useful in monitoring progression of this disease." He said that with the grant his team proposes to investigate if lupus can be treated by blocking ALCAM using an antibody. "If this succeeds in animal models, the next step would be to examine if this might also be a good treatment target in patients with lupus," he said. Researchers will examine ALCAM, which is also present in several kidney diseases and in the urine of patients with lupus kidney disease. Lupus patients may have increased ALCAM in both their immune systems and their kidneys, and this probably plays a major role in activating the immune system and causing the kidney disease in lupus patients, said Mohan. While healthy people need ALCAM to activate their T cells to fight off foreign microbes in the body, in patients with an autoimmune disease, the activated T cells end up just fighting the patient s own tissues, rather than a foreign body. Mohan will continue tracking ALCAM to confirm its presence in the kidneys of lupus patients rather than just the urine, while also investigating whether the increased ALCALM is indeed driving the disease. His research will also include treating lupus by testing an antibody that blocks ALCAM. We began this study looking for biomarkers and we think ALCAM is a good biomarker, meaning we may be able to track the disease by looking at the levels of ALCAM in the urine. But now we are finding that ALCAM may be a therapeutic target, too, Mohan said.